Do you need a source of electricity that is strong enough for major appliances, sophisticated enough for electronics, and both quiet and portable enough for use almost anywhere? 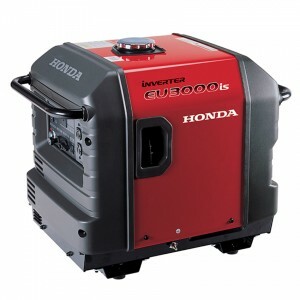 The Honda EU7000is is built to do all that, providing reliable, efficient and easy-to-use power for RVs and as a backup for grid power in homes. 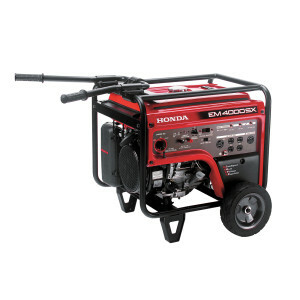 Do you need a lot of power, but want a generator that is still quiet and portable? The Honda EU3000is generator makes enough electricity to power large appliances while still being small enough to move and quiet enough to use in areas with noise restrictions. It’s a great choice whether you need a home backup or extra power on the road. Honda has a reputation for reliability, and this generator is no exception. Power is provided by a GX200. This engine design has been proven through its use in countless pieces of equipment including pressure washers, water pumps, and even racing go karts. It comes with an electric starter, but there’s also a pull start backup in case the battery has drained. The Oil Alert system shuts down the engine if the oil level is too low to prevent internal damage, and circuit breakers protect the inverter from being overloaded. 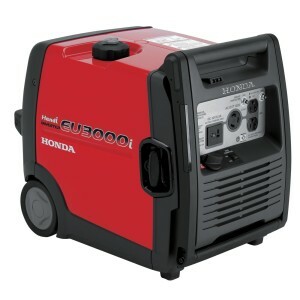 The entire generator is backed by a three-year warranty that covers commercial and residential use. AC output is 2,800 watts at 120 volts (23.3 amps) with a maximum of 3,000 watts (35 amps) to handle surges when starting electric motors. That’s enough power to run a 13,500 BTU AC unit in an RV. When used for household power, this generator can provide the electricity to power almost anything aside from an A/C unit or electric heater. That includes Energy Star-certified freezers and refrigerators, microwaves, incandescent lights, fans for gas and oil-fueled furnaces, hair dryers, coffee makers, blenders, and garage door openers. The inverter built into this generator supplies a clean A/C current comparable to household electricity, so it won’t damage sensitive electronics or computers using its power. Power is separated into three outlets: the duplex plug’s two outlets can handle up to 20 amps, while the locking plug can handle loads up to 30 amps. 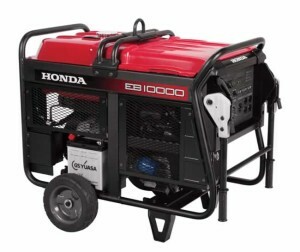 Where Can I Use This Generator? The EU3000is measures 25.9 x 17.6 x 22.0 inches and weighs 131 lbs, making it surprisingly compact for its output. It should fit in the lower storage bays found in most large RVs. Noise should never be a problem. When operating, the EU3000is produces 49 dB at 1/4 load and 58 dB at full load. Even when running at full capacity, it’s quieter than two people having a normal conversation three feet from each other. The engine comes with a built in USDA-approved spark arrester, so it should meet fire safety regulations in most locations. The tank holds 3.4 gallons of fuel, which is enough to run the generator for up to 20 hours. Even when used at its highest capacity, it can run a little over 7 hours before it needs to be refueled. The Eco-Throttle system automatically adjusts engine speed to meet power demand, so you’ll always get the best fuel efficiency possible. What Else Can I Do With This Generator? There are several accessories available to expand the EU3000is’ capabilities. Want to double your available power? There’s a cable that lets you link two identical models together for parallel capacity, giving you more power when you need it while maintaining portability. Want it to be even more portable? 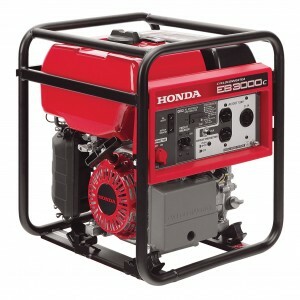 Honda offers kits that add two or four wheels to make it easy to wheel this generator into position for use. Using the EU3000is for backup power in your home? The transfer switch lets the generator be safely integrated into your existing electrical system. Need to charge an automotive battery? With an optional charging cord, you can add a set of DC alligator clips that provide 12 amps of 12 volt power. 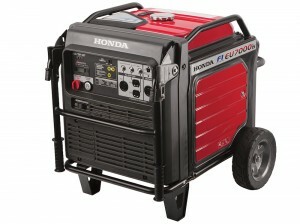 You can be sure your EU3000is will be ready when you need it with parts from www.hondalawnparts.com. 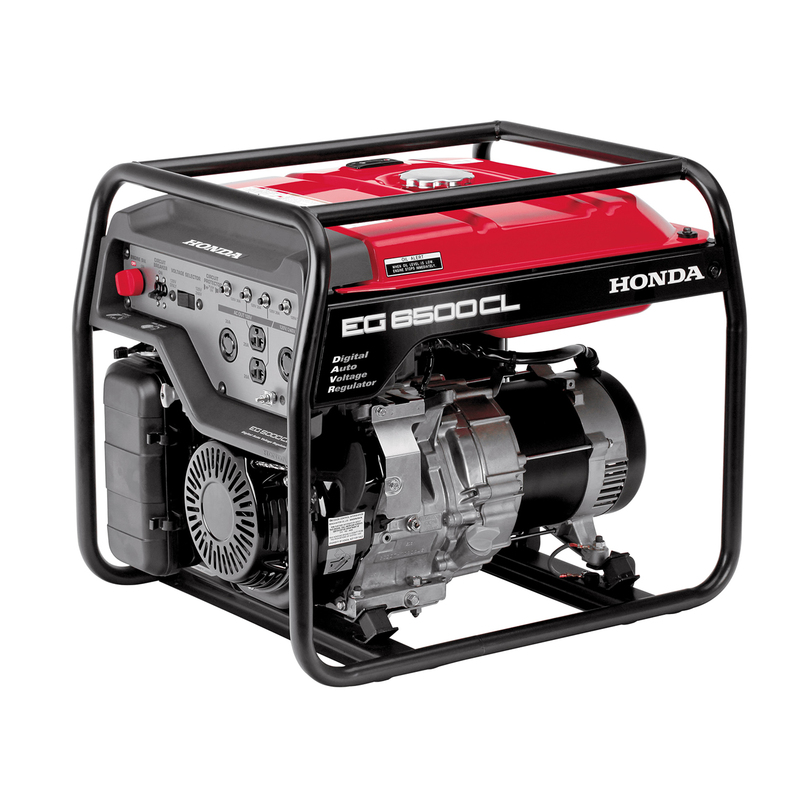 We’re a certified dealer of Honda small engine equipment, carrying OEM replacement parts for your generator and the motor that powers it. Not quite sure what you should order? Our search engine has built-in factory parts diagrams that make it easy to match up what you need with what you’re ordering. We can ship anything from bolts to engine blocks to any location in the U.S. and Canada.